The walls of our restaurants are filled with one-of-a-kind Zachary’s Pizza Art. We held our first art contest in the late 1980′s and the tradition has continued every couple of years to this day. We love our art and the artists. Ladies and Gentlemen, meet Madison Zuniga! “My son, William (13 yrs old) and I are deeply grateful to Zachary’s for the joy it brings to our lives. Not only the DELICIOUS gluten free pizza (thank you, thank you! ), but also the connection it weaves through community. We have monitored the art contest for years and have waited for the opening where time and creative spark would coincide and bring us to this moment of participation. And here we are! The inspiration behind this piece was to weave in the theme of “shared love”. 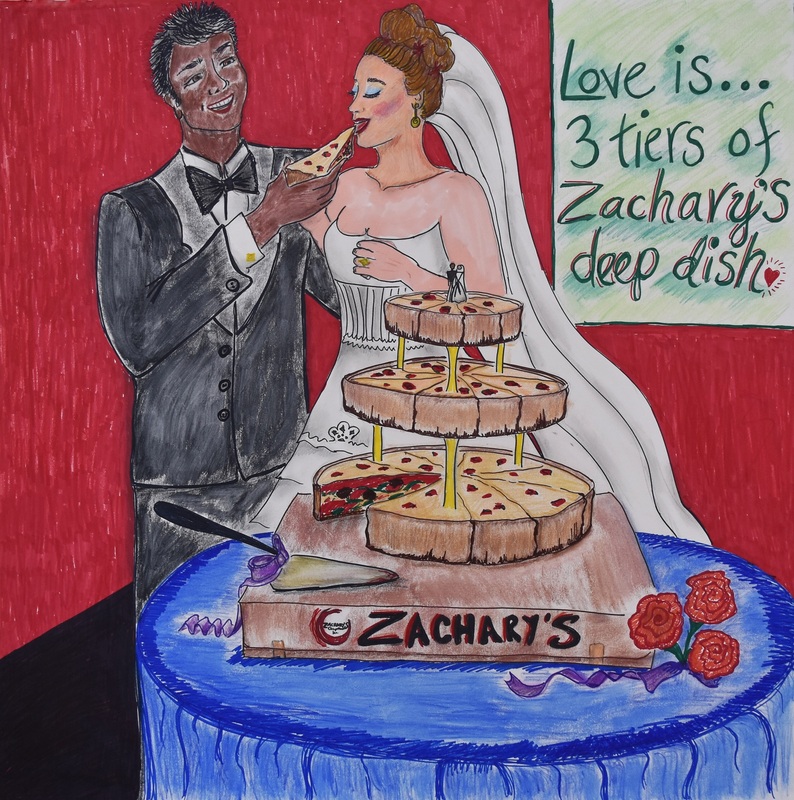 What better depiction of shared love than a wedding day and the site of a loving groom feeding his delighted bride a slice of Zachary’s deep dish?! 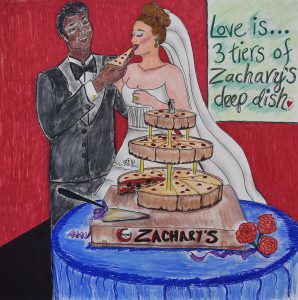 Love IS Zachary’s Pizza.